“This year, my New Year’s resolution is going to be work out regularly and lose ten pounds.” We hear it all of the time, it is one of the most common resolutions in the country, but before you start, consider getting a physical. Making the decision to start getting fit, losing weight, and eating healthy is one of the best resolutions you can make. Which, of course, we are very happy to hear. But, make sure you know about your body and speak to your physician before you start your routine. It’s the safest way to make your resolution a success. December and November are great months to make an appointment to get your year-end physical and get on the right track to starting your resolution on January 1st. Also, make sure to have your primary care physician lined up to help you track your progress as you go. They can give you tips and tricks to help you optimize your exercise routine and eat the healthiest you can for your body type. And don’t just think year end physicals are just for those with a New Year’s resolution. Getting your health in check for the upcoming year, is just as important without a resolution. Start the year off right and book your physical today. Does Tryptophan really make you sleepy? And is turkey really to blame? Thanksgiving, is not only the time of year to give thanks, but it’s also a great excuse to get together with friends and family and treat yourself to a great Thanksgiving meal. Most traditional thanksgiving meals consist of turkey and year after year, we hear of people getting sleepy after their thanksgiving feast because the turkey is laden with L-tryptophan, tryptophan is what makes you tired. So is it true, the turkey is really to blame? Let’s find out. L-tryptophan is an essential amino acid that the body cannot make on its own, therefore your diet can supply it. Foods rich in tryptophan include poultry, meat, cheese, yogurt, fish, and eggs. And you guessed it, turkey! But that’s not the only reason you get sleepy. Tryptophan is needed for the body to produce serotonin. High levels of Serotonin in the body will make you feel relaxed and happy. Serotonin is used to create melatonin in your body, which helps control your sleep and wake cycles. So as it turns out, turkey does include tryptophan, but it actually contains no more than any other form of poultry, and actually has slightly less than chicken. So if you are feeling sleepy after eating your Thanksgiving meal, it’s probably a combination of things that are making you sleepy, including all of the carbohydrates your body has taken in during the meal which can also make you feel lethargic. Chew on that. Happy Thanksgiving! We hope you have a wonderful Thanksgiving filled with turkey, love and laughter. With healthcare open enrollment upon us, and changes to yearly healthcare plans starting January 1st, it’s more important than ever to choose your primary care physician. As a patient, it’s important to find a physician that fits your needs. 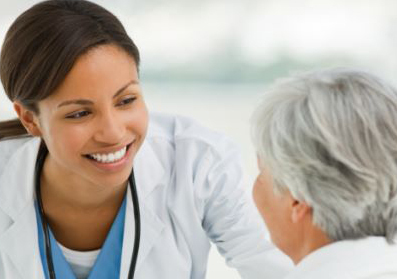 Finding a primary care physician is the first step toward managing your health. Your primary care physician is the center of your medical health. It is your medical home for most medical needs, whether it’s a sports physical, routine women’s wellness exam, or place to go when you have a sore throat. “Your doctor”, your primary care physician is the person you can speak to about your health questions and concerns. They get to know you, and if necessary can refer you to a specialist if they aren’t able to make the perfect recommendation. No matter how long you plan to see your primary care physician, it’s an important decision to make. They are there for you when you need them, and they know you and your body when it needs medical care. Contact us for more information on becoming a patient and make one of our wonderful doctors your primary care physician today. Welcome to our blog and thank you for reading. On this blog, we will provide regular updates on topical conversations in the family practice world, as well as our own updates about University Family Medicine Center Pueblo. We hope this blog helps to further our mission of providing you with a high-level family medical care, that enhances your day-to-day life. We not only will provide topical patient care information, but we hope to supply you with relevant and informative content that will help you with every day lives. Topics include seasonal updates to better your health, healthcare in the news, dietary health, and much more. Stay tuned for more information and keep an eye on our blog for new updates.